2018 Great Heart Way programs at the Abbey are based on our Roshis’ book “The Great Heart Way”. The Great Heart Way I (Introduction to the Great Heart Way): two Sundays in June, the 17th and 24th from9:30 am to 12:30 pm. Cost is $120 for members of GMZC and $170 for nonmembers. Great Heart Painting: three Saturdays in June, the 16th, 23rd and 30th from 1:00 – 4:00 pm. Cost is $175 for members of GMZC and$225 for nonmembers, including all materials. The Great Heart Way II: two Saturdays in August11th and 18th from 1:00 – 4:00 pm. Cost is $120 for members of GMZC and$170 for nonmembers. If you want to attend any or all of these Great Heart Way workshops, please send a 25% deposit to reserve your place. Let us know if you have questions. 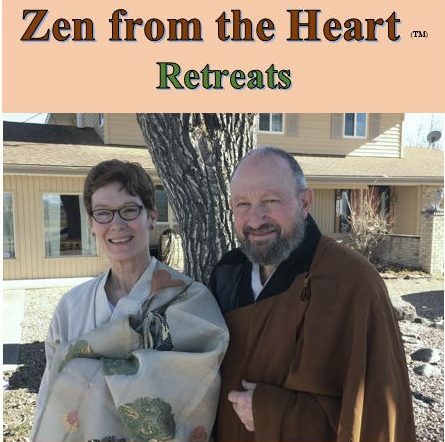 Important information: The Great Heart Way is based on our zazen and teaches us how to work with feeling so they can transform on their own. We learn how to release numbness, wrong beliefs, fixed images and stagnant energies from our bodies. When our emotional reality is not addressed as part of our spiritual growth, we carry that reality as a shadow which blocks the natural flow of anger, fear, envy, jealousy, anxiety, resentment, feelings of inferiority, superiority, unworthiness and so on. The Great Heart Way teaches us how to work with all of our emotions in a way that is safe. Great Heart Painting is an adjunct to the Great Heart Way. This painting practice is informed by our zazen in the way that both practices emphasize being in the body and not knowing. Through the painting process we will learn how to use the energy of feelings and emotions and to manifest them with strokes of brush and color on an empty paper. Great Heart Painting is process painting. It is not art per se. We paint beyond ideas of beauty and ugliness, beyond right and wrong. Every expression is allowed and encouraged.